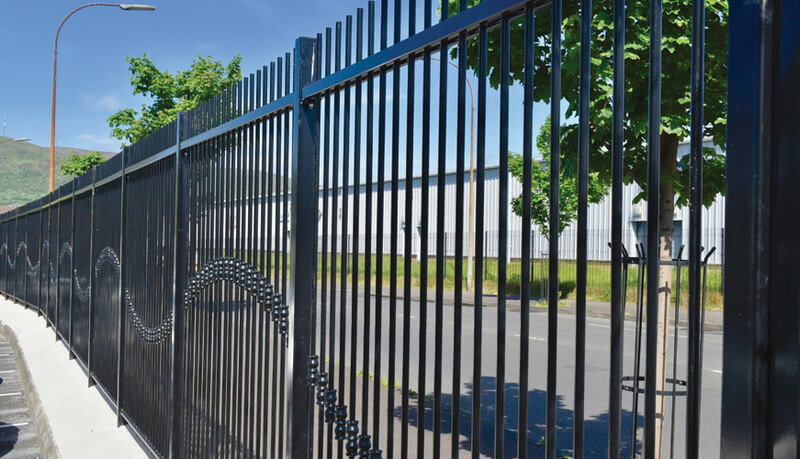 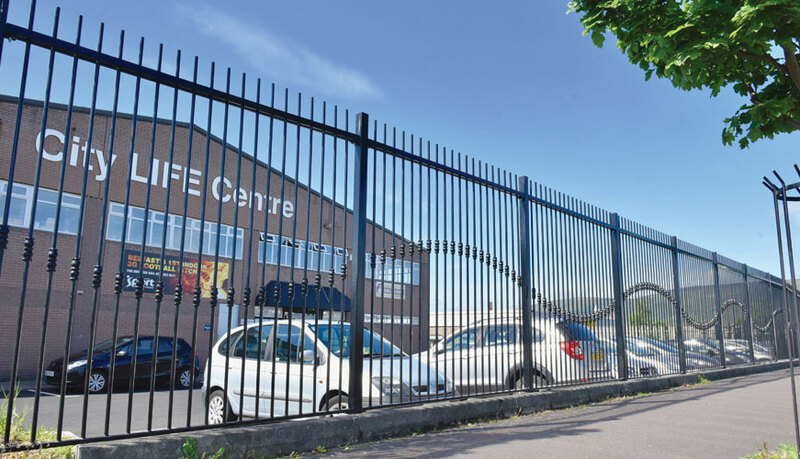 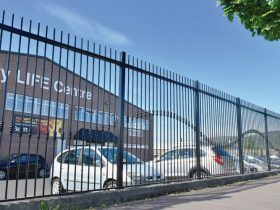 The City Life Centre is located at the lower end of the Shankill and Falls communities of West Belfast. 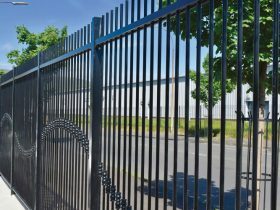 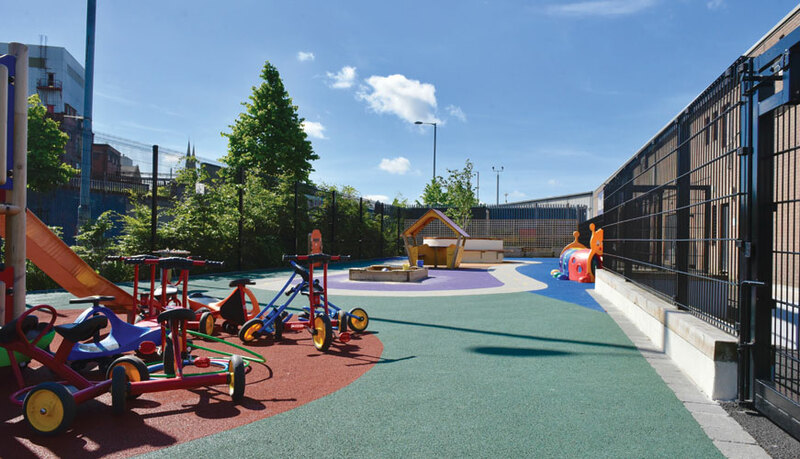 It is an important facility because it serves to actively and effectively bring people together through various community programmes and activities. 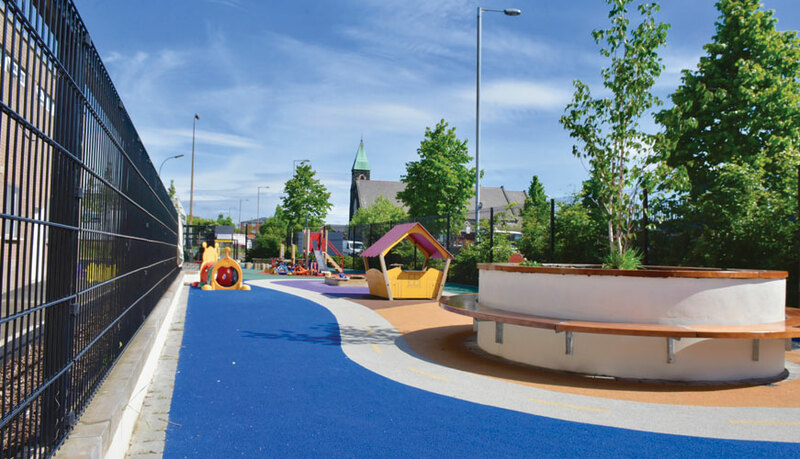 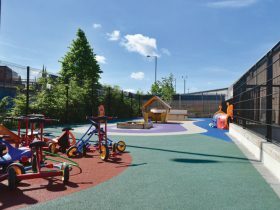 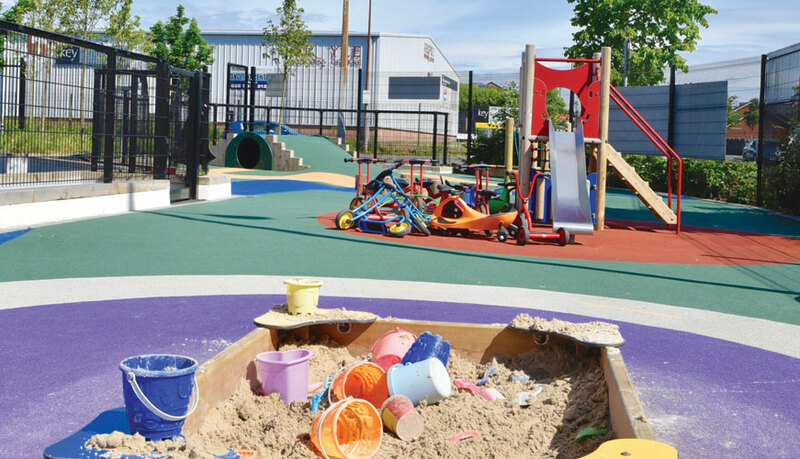 Lowry Building & Civil Engineering Ltd were appointed under the CPD Civil Engineering Framework to develop a new soft play area in the Centre grounds and which caters for children up to the age of 12 years old. 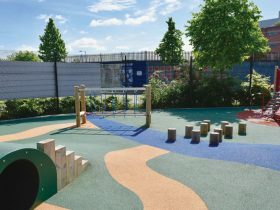 The scheme involved site clearance, installing new drainage and laying over 400 sq. 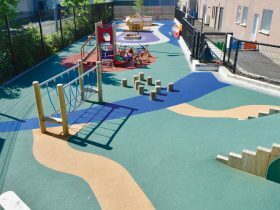 m of Wet Pour Safety Surfacing in mixed colours including blue and teal. 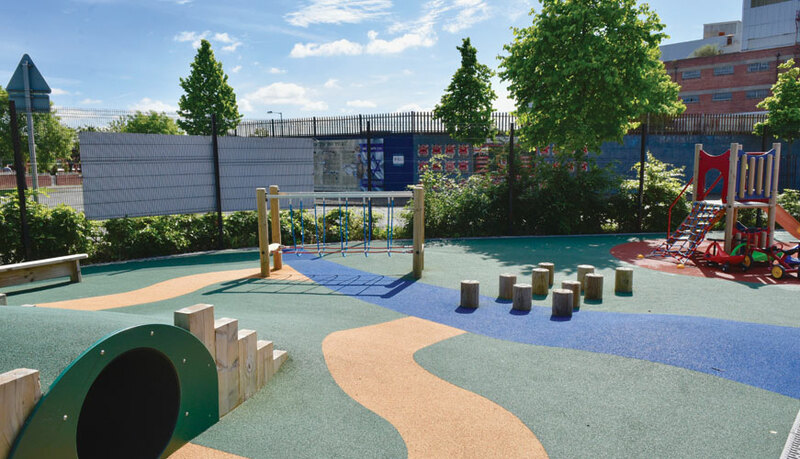 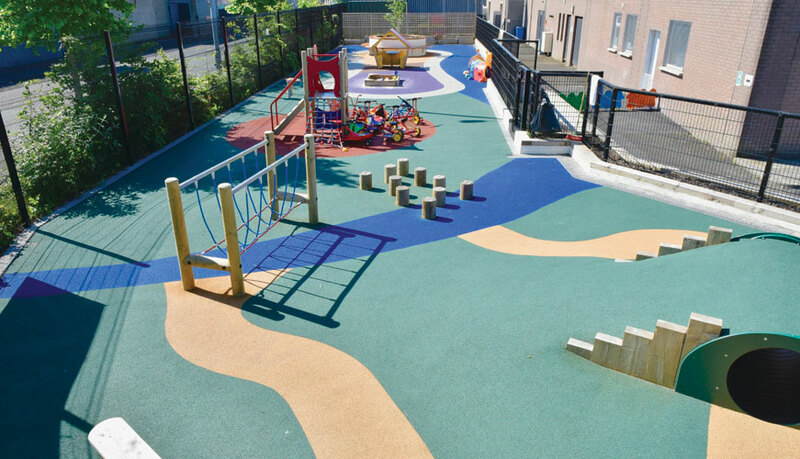 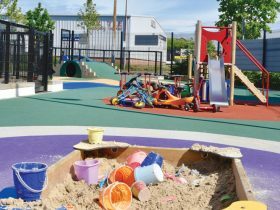 A variety of children’s play equipment was subsequently fitted including a Playhouse, Sandpit, Climbing Tower, Net Balance Bridge, Log Walk & Mounded Tunnel. 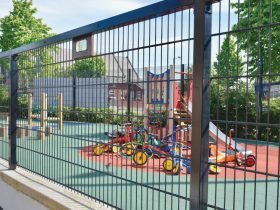 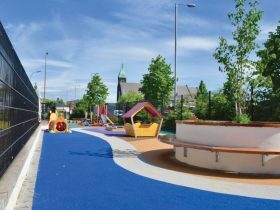 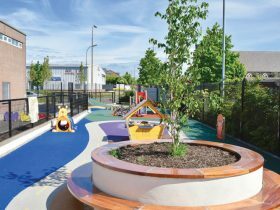 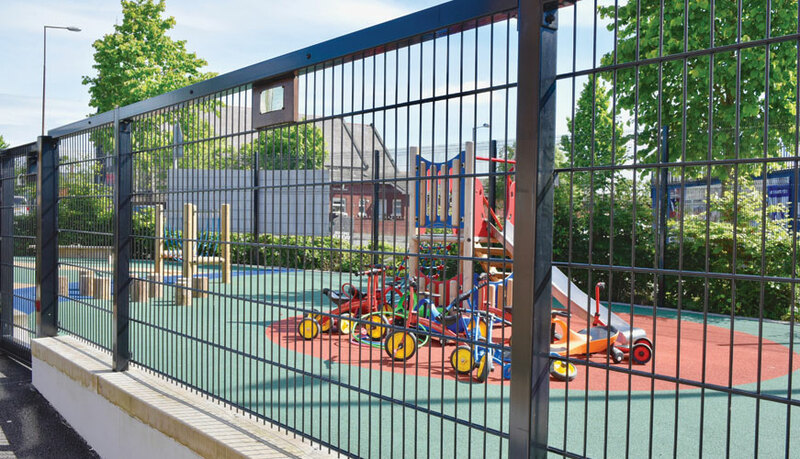 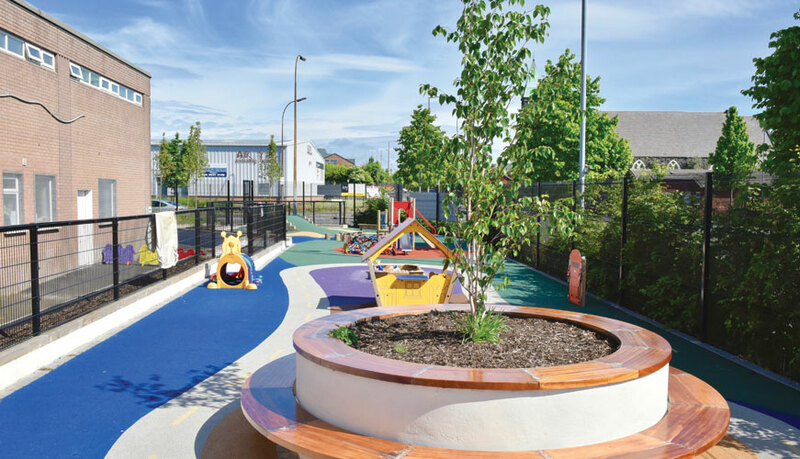 The play area also features raised planters with seating areas for parents and is enclosed with a bespoke steel perimeter fence.